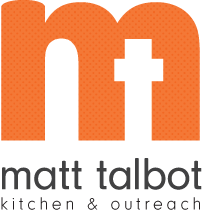 Yes, the heavy equipment is at Matt Talbot Kitchen & Outreach again! This time, we are performing some long overdue maintenance to the Carnegie Library building that houses our administrative offices. Built in 1909 as the Northeast Branch of the Lincoln City Library, it was closed as a library in 1982 and moved from 27th and Orchard to its current location in 1992 the same year Matt Talbot was founded. Over time, weathering and decay have caused voids in the joints between bricks which can allow water to enter. Stutzman Sealants & Sons of Lincoln are tuck-pointing the limestone and brick and cleaning the limestone to restore and preserve this beautiful Lincoln landmark. The preservation and repair of the Carnegie Library building has been made possible by a generous grant of $25,000 from the Hugo A. and Thelma Aspegren Charitable Trust. If the name sounds familiar, it may be because Matt Talbot’s Hope Garden has a plaque recognizing the Aspegren Trust for their contribution to our Witness to Hope campaign in 2009. We are all so grateful for the Aspegren Trust’s generous investments in Matt Talbot’s beautiful facilities!